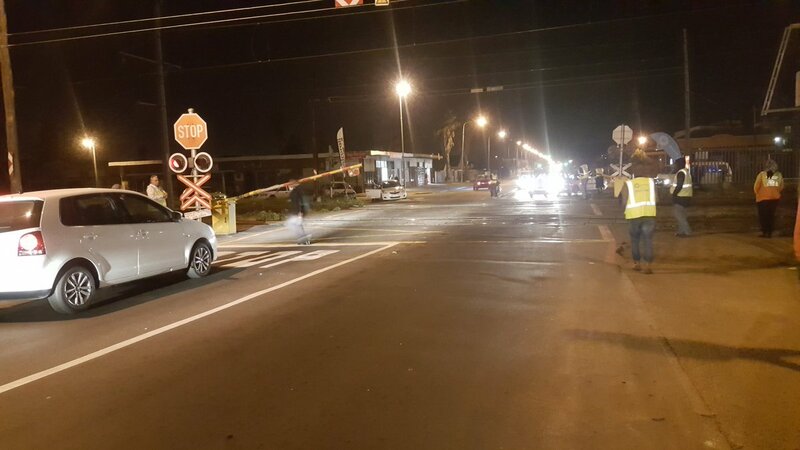 2 June is International Level Crossing Awareness Day (ILCAD), and Metrorail has once again urged motorists to observe all road signs and markings at crossings to ensure their safety at all times. 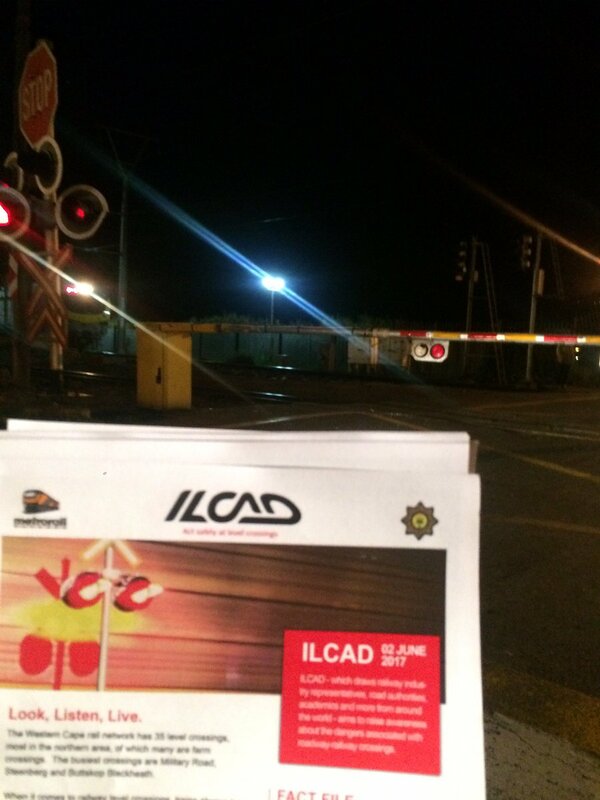 ILCAD, which draws railway industry representatives; road authorities; academics and more from around the world, aims to raise awareness about the dangers associated with roadway-railway crossings. 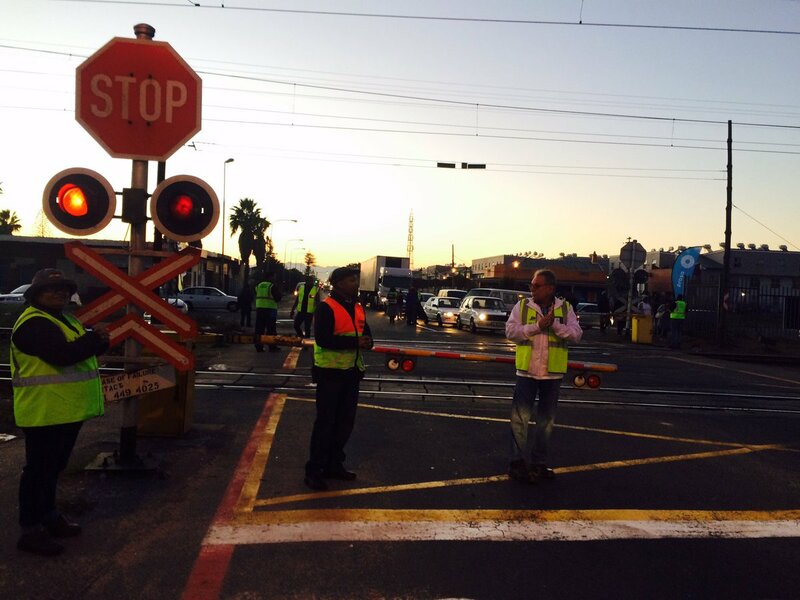 The Western Cape rail network has 35 level crossings, most in the northern area, of which many are farm crossings. 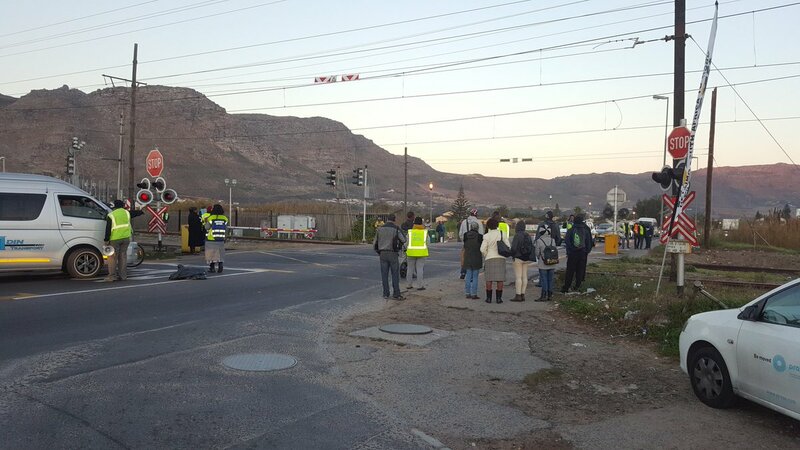 The busiest crossings are Military Road, Steenberg and Buttskop Blackheath. 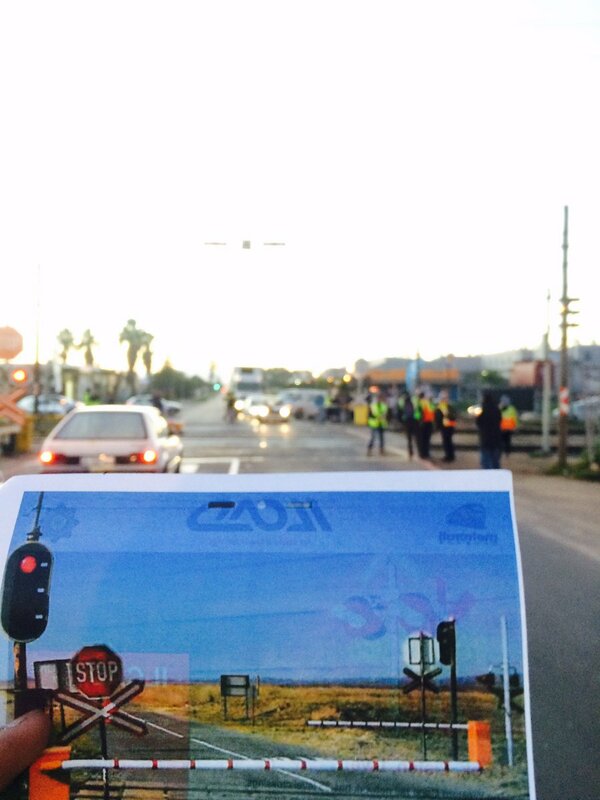 Safety at level crossings is predominantly governed by the principles contained in the South African Road Signs Manual (SANS). It is important to stress that similar to traffic signals being out of order, the onus remains on pedestrians and motorists to comply with road signage such as stop signs and road markings. 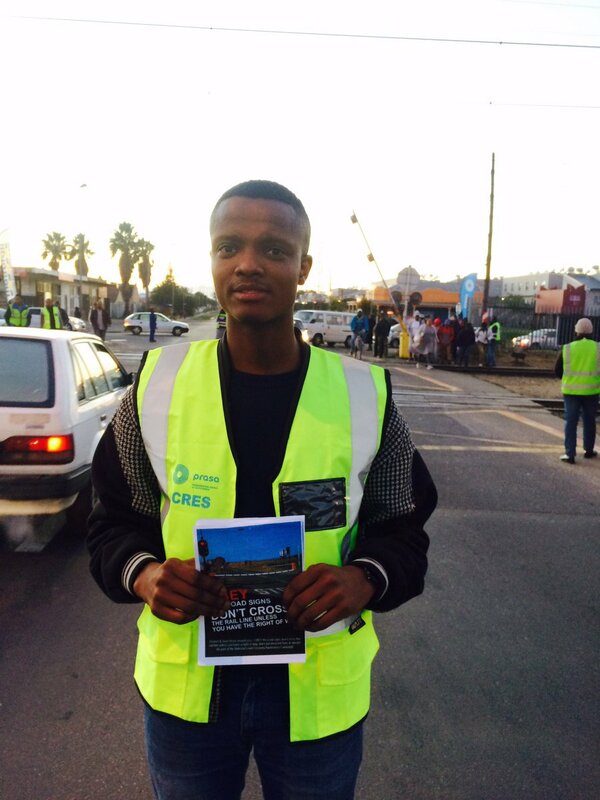 We advise pedestrians/cyclist and motorists to obey the rules of the road to ensure they are not needlessly exposed to avoidable danger. Road signs are primary indicators of safety at level crossings. The booms and/or attendants are additional barriers to alert motorists of trains that may be approaching. 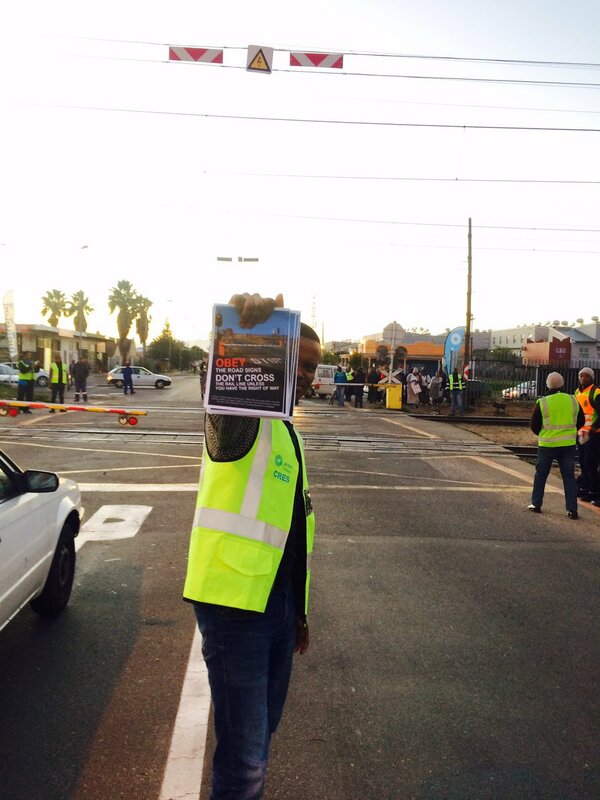 Metrorail will do everything within its power to ensure the safety and or security of commuters, and prevent incidents. It’s illegal for vehicles to cross railway lines at any time, except at a designated level crossing. Look out for trains travelling in both directions. Always wait until the warning signals or lights stop and the boom gates go up. If the boom gates stay down and the warning lights keep flashing, it means there is another train coming, usually from the opposite direction. Wait until you can see that the tracks are clear in both directions before crossing. Wheelchairs, prams and strollers should always be pushed at right angles to the track so the wheels don’t get trapped. Walk with bikes, rollerblades or skateboards. Never queue over a level crossing. Ensure there’s a full vehicle length between your car and the one in front before you drive. Be aware of visibility. Train drivers cannot see clearly to the left or right of the tracks. They also cannot see people or objects on the tracks directly in front of the train. 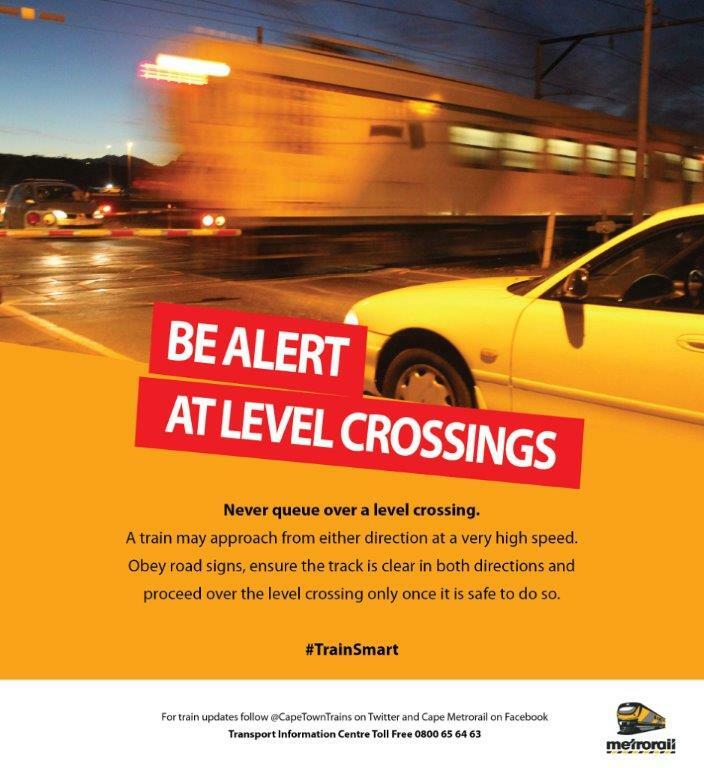 Motorists/pedestrians should note that legally a train has right of way at road/rail level crossing intersections.